Rare, Early Pennsylvania Open Hearth Hand Wrought Iron Warming Shelf. It was hung against the fireplace walls and was used to keep foods warm while the rest of the meal was being prepared. 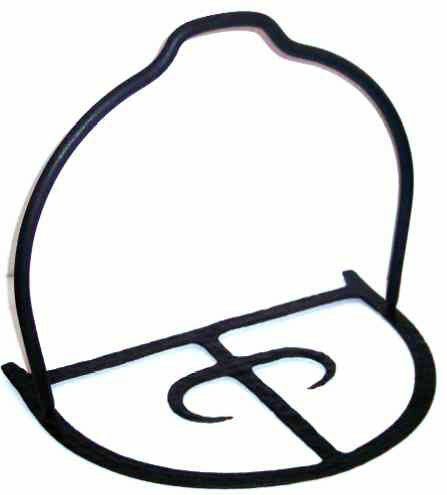 The shelf has a Ram's Horn design showing the art of the blacksmith in this very utilitarian item. The forged rear extensions provided clearance from the wall so the shelf would hang flat. It measures 12" high to the top of the handle x 14" wide x 11" deep. This rare piece of hearth equipment dates from the mid-1700's. The condition is excellent.